You hopefully just joined us on the first part of our Ohio road trip: Thrills, Chills and Sandhills: HalloWeekends at Cedar Point. Now, we’re going to share with you another, more relaxing type of Lake Erie Shores & Islands vacation. We’ll explore Sandusky and take a ride on a vintage merry-go-round, hop on a ferry to the quaint island of Put-in-Bay where we stay at the Anchor Inn, and head back down to Port Clinton where we spend our last night at the Holiday Inn Express Port Clinton-Catawba Island and marvel at the beauty of Marblehead Lighthouse. 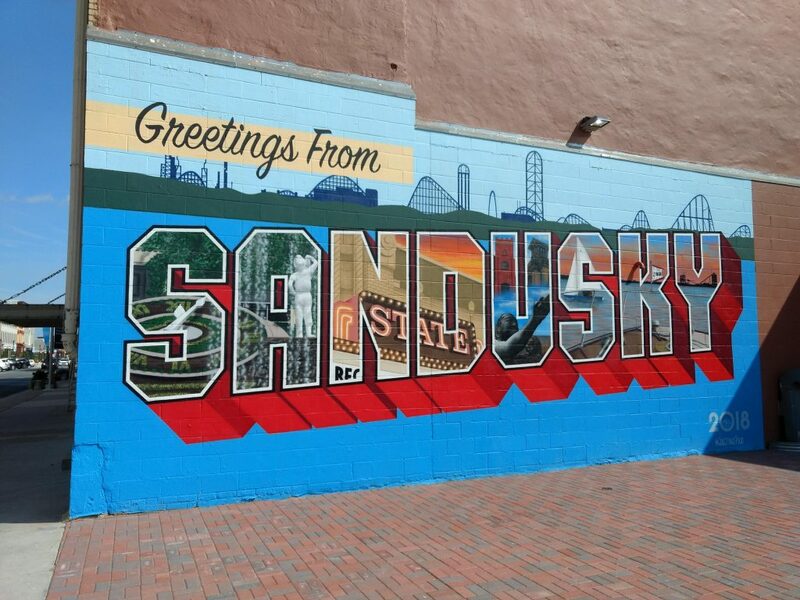 Say “hello” to Ohio like you’ve never seen it before. After departing from Cedar Point, we headed back to Sandusky, where we had lunch at the Jolly Donut. 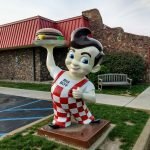 This vintage diner is a Sandusky staple, the perfect spot for a quick, inexpensive and delicious breakfast or lunch. 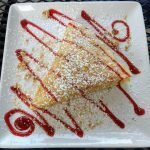 They’re, of course, known for their donuts, but the grilled cheese and steak fries were also delicious– and the ultimate comfort food! After lunch, we took a stroll through the lakeside downtown area. We enjoyed picturesque views of Lake Erie, and even noticed a giant Battleship game right by the shore that kids are bound to love. 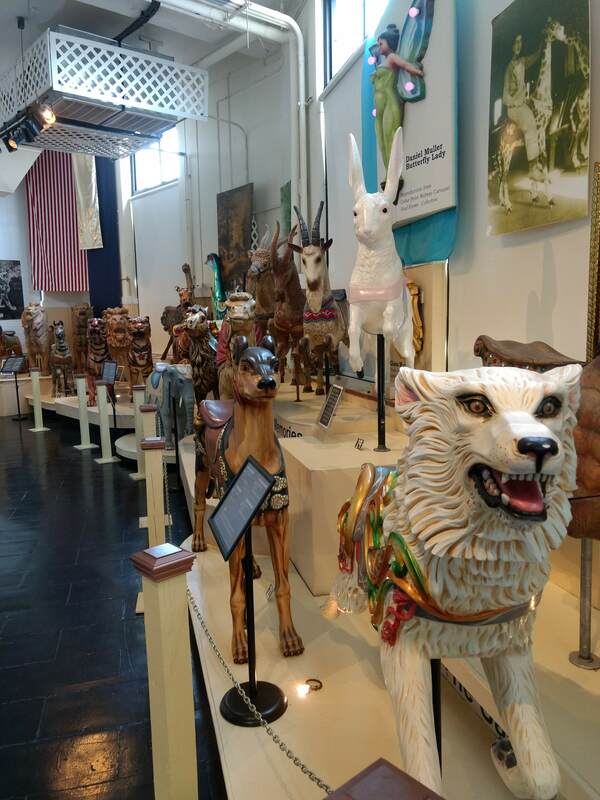 We also took a trip through the Merry-Go-Round Museum. 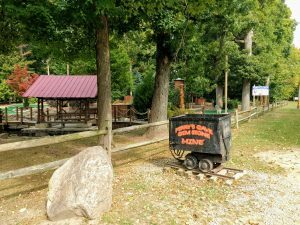 This gem takes about an hour to walk through, and includes a ride on their vintage merry-go-round with the purchase of your ticket. 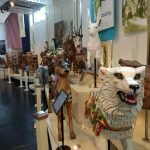 You’ll enjoy admiring the artwork of each individual, hand-crafted horse and animal, and learning about the history of this timeless ride. 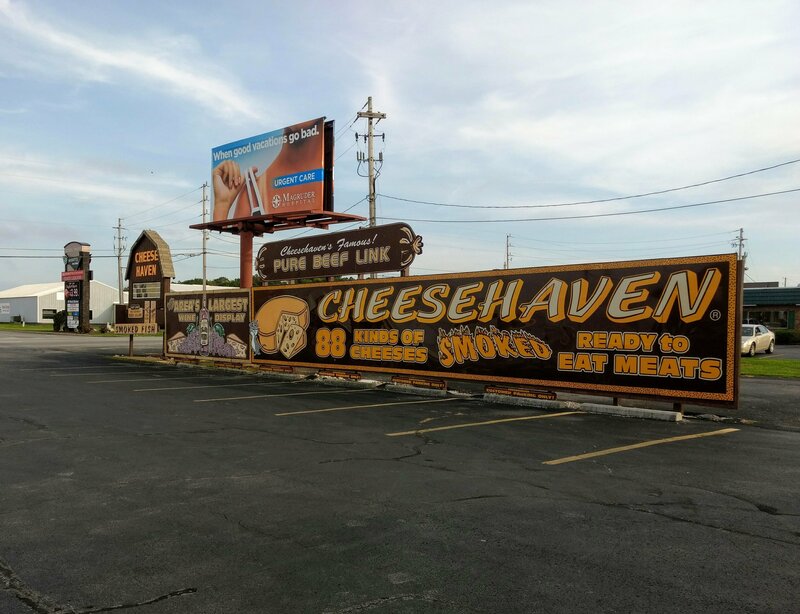 It’s a great, quick tourist stop if you’re visiting or passing through Sandusky. And what child doesn’t enjoy the merry-go-round? 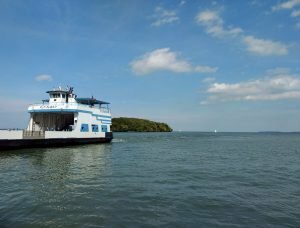 After exploring Sandusky, we headed about forty minutes northwest to the Miller Ferry at Catawba Dock in Port Clinton to head to Put-in-Bay, Ohio. Tickets are $15 each round-trip, and ferries run every half hour. Although we opted not to, you can bring your car for an additional charge. However, on Put-in-Bay you really don’t need one. With the taxis and golf cart rentals, you’ll have no trouble getting around. 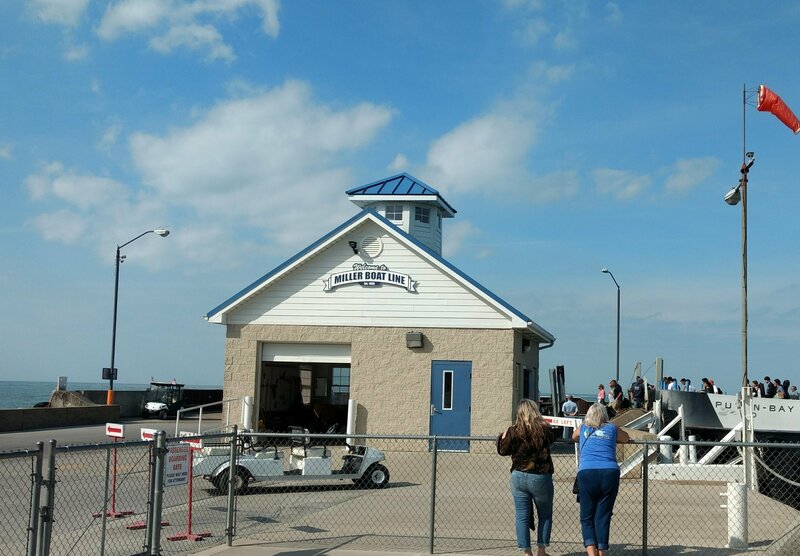 The ferry delivers you and your luggage at Put-in-Bay in about a half an hour, although the journey itself feels more like a relaxing tour across Lake Erie than a commute. 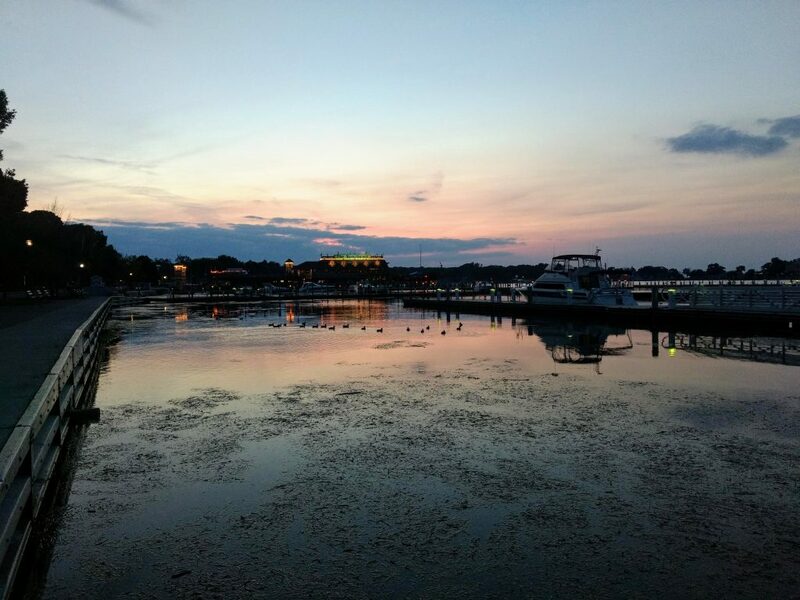 Once you arrive at Put-in-Bay, simply head up the hill on your left where you’ll find taxis waiting to pick up visitors. The taxi costs $3 per person, but tips are greatly appreciated. Be sure to bring cash to pay your driver with! Our driver dropped us off right in front of the Anchor Inn, where we planned to stay for the night. This boutique hotel has all the quaintness and hospitality of a bed and breakfast. 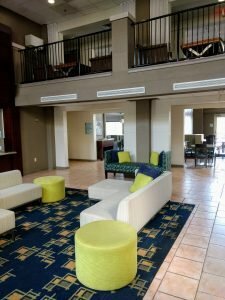 We were welcomed by their warm, friendly staff, who checked us in and showed us to our room, offering suggestions of the best places to eat and fun things to do along the way. 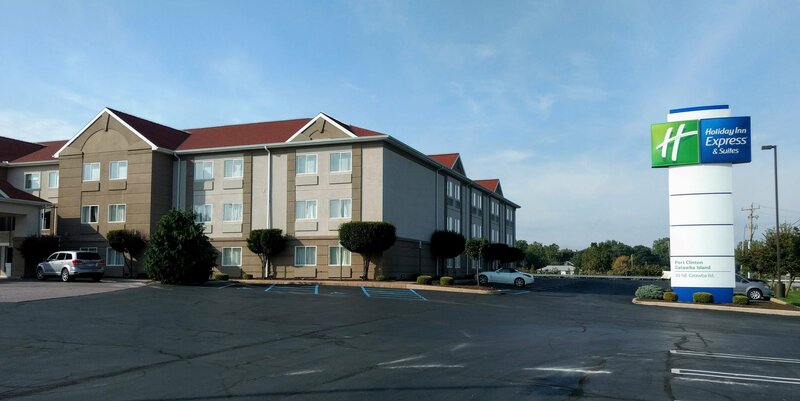 The hotel is laid out in such a way that, although it is a large, refurbished house, you don’t really hear your neighbors in the other rooms like you might normally in a bed and breakfast. This makes for an even more relaxing stay. 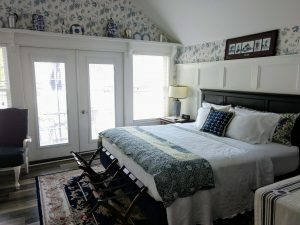 We had the pleasure of staying in the Anchor Inn’s State Room. This spacious room is impeccably decorated in white, gray and blue, right down to the soft, delicate linens. The rich wood furniture gives the room an antique, nautical feel, while the flat screen television (complete with Netflix!) and other modern appliances throughout the room give you all the luxuries you need as you enjoy your stay. 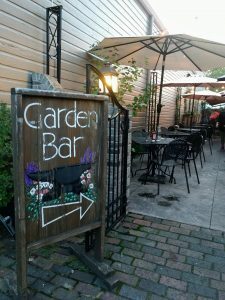 While some hotels on the island feature more of a party atmosphere, the Anchor Inn is far from the party scene, offering guests charm and serenity. Although kids are welcome, this room does make for a cozy, romantic getaway for all of you hard-working parents! 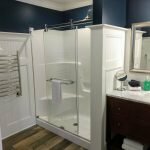 Like the other rooms at the Anchor Inn, the State Room’s beautiful bathroom and shower boast new stainless-steel appliances, two cozy, plush robes, and even a towel-warming rack so you’ll be able to step out from your warm shower and into an equally warm towel. Each bathroom is also stocked with any toiletries you may need, including shampoo, conditioner, and Q-tips. After admiring our room and freshening up for the evening, we headed to dinner at The Forge. 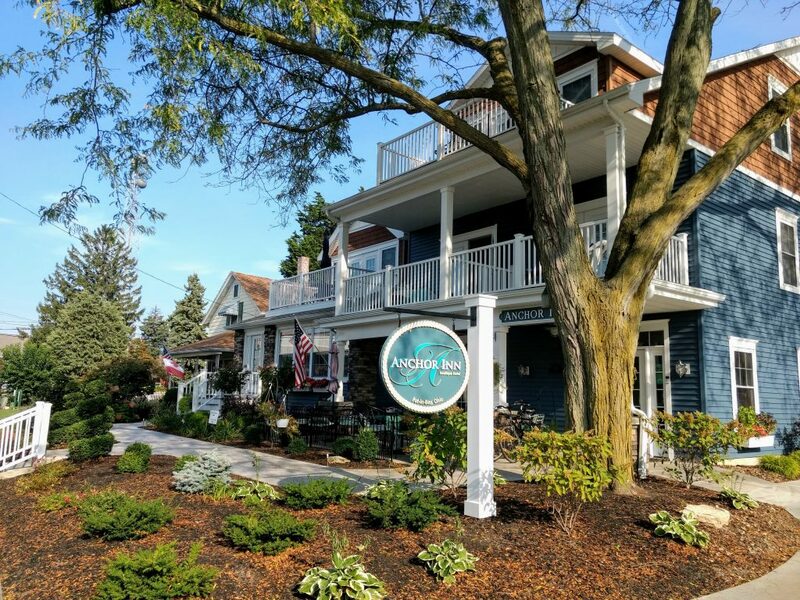 Located just a short walk away from the Anchor Inn in downtown Put-in-Bay, this vintage-style restaurant and bar offers delicious food and a warm, inviting atmosphere. 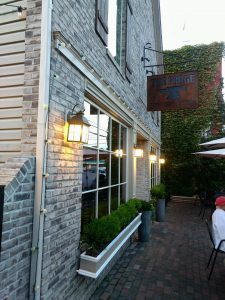 Although our visit took place in early October, the weather was still warm enough to enjoy the outdoors, so we had the pleasure of sitting in their outdoor dining area. Nestled between the two brick buildings, this seating area is blocked from the wind. There’s even an outdoor Garden Bar, for those looking to enjoy some wine and spirits. For dinner, we opted for the rich, mouth-watering truffle mac and cheese. But the deliciousness didn’t end there. 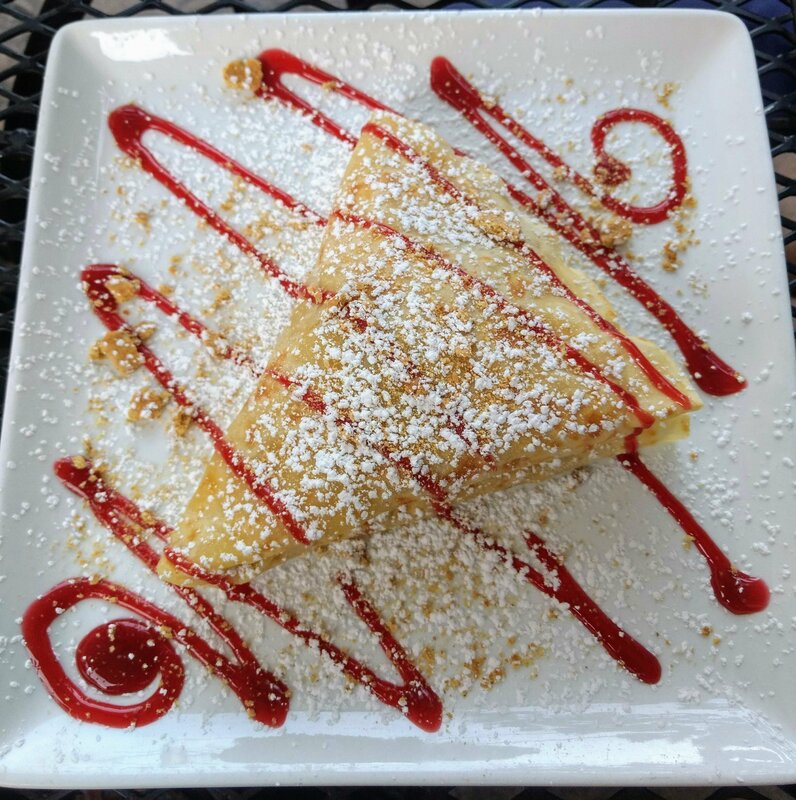 The Forge is known for their delectable crepes. Although our waitress warned us that the crepes were big enough to split for dessert (which they were) we couldn’t resist ordering two different kinds; Nutella Banana (right) and Strawberry Cheesecake (left). Don’t ask us to choose which we liked better! We rounded out the evening with a relaxing sunset walk along the pier. The views were breathtaking. 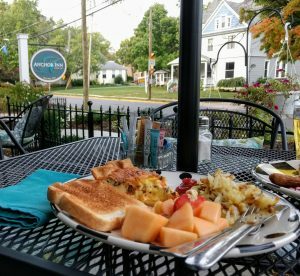 In the morning at the Anchor Inn, we enjoyed our coffee with a lovely view of downtown Put-in-Bay from our room’s balcony before heading down to a delicious complimentary breakfast of quiche, potatoes, toast with jam, and fresh fruit outside on the front porch. We also enjoyed visiting with other guests and ladies working at the Inn. It was the perfect start to our day. We spent our afternoon exploring nearby local attractions like Perry’s Cave, where we received a guided tour through this historic site. After our tour, we bought a few souvenirs at the gift shop and took a walk around the area. Right next to Perry’s Cave, you’ll find a charming mini-golf course, and on the left, the Butterfly House, where you can see dozens of butterflies in their enclosed garden habitat. It was a beautiful way to spend the rest of our day in Put-in-Bay. We took the ferry back to Port-Clinton, where we checked into our hotel, the Holiday Inn Express at Port Clinton-Catawba Island. Conveniently located next to McDonald’s (our road trip “go-to”), the Holiday Inn Express was far enough off the expressway to avoid passing traffic, but close enough to the rest of the area that you can still easily access the through-streets. The lobby was large and welcoming, with a friendly and hospitable staff. The rooms were spacious, clean, and complete with all of the amenities we needed to enjoy a relaxing evening at the hotel. There was a flat screen TV, coffee maker, mini-fridge, microwave, phone, free wifi, and a sleeper sofa. 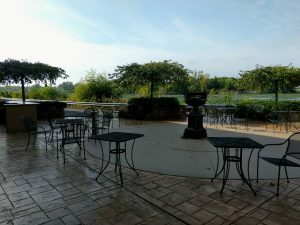 The Holiday Inn Express even surprised us with their quaint, quiet back patio, where guests can enjoy a nice cup of coffee or breath of fresh air while looking out over a tranquil view of trees and a lake. In the mornings, guests are even welcome to eat their complimentary breakfast outside on this delightful patio. 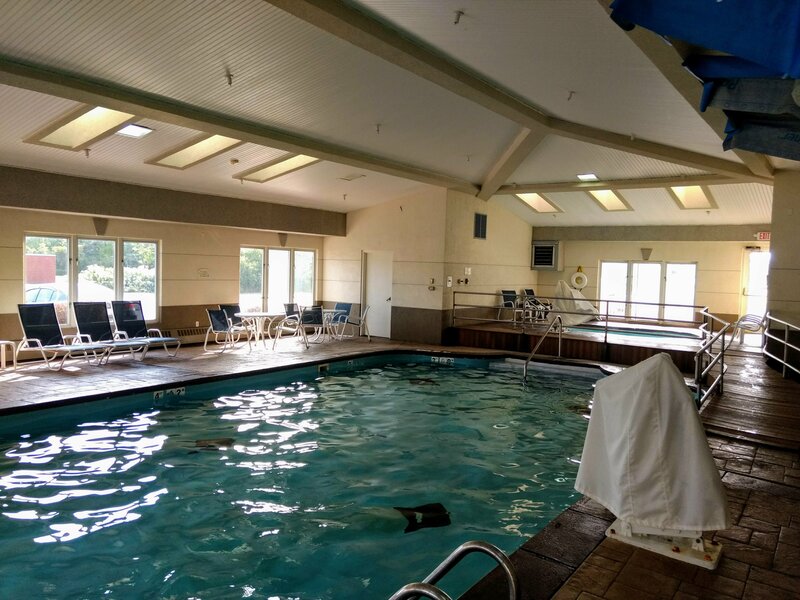 With a large indoor pool, hot tub, and fitness center, you’ll find plenty to keep you and your family occupied. Although we didn’t take advantage of the fitness center, we did spend a few hours swimming in the pool and relaxing in the hot tub. The water of the pool was a perfect temperature, and of course, clean and well-maintained. With towels by the pool, you don’t have to worry about bringing your own. Kids will love splashing around while you relax in a pool chair or soak in the hot tub. Port Clinton proved to be a very centrally-located area for our Lake Erie vacation. 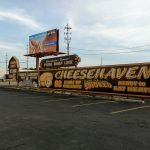 Not only was it a convenient place to access the ferry to Put-in-Bay as well as a short drive from Sandusky/Cedar Point, but it also had a lot of hidden gems to offer. 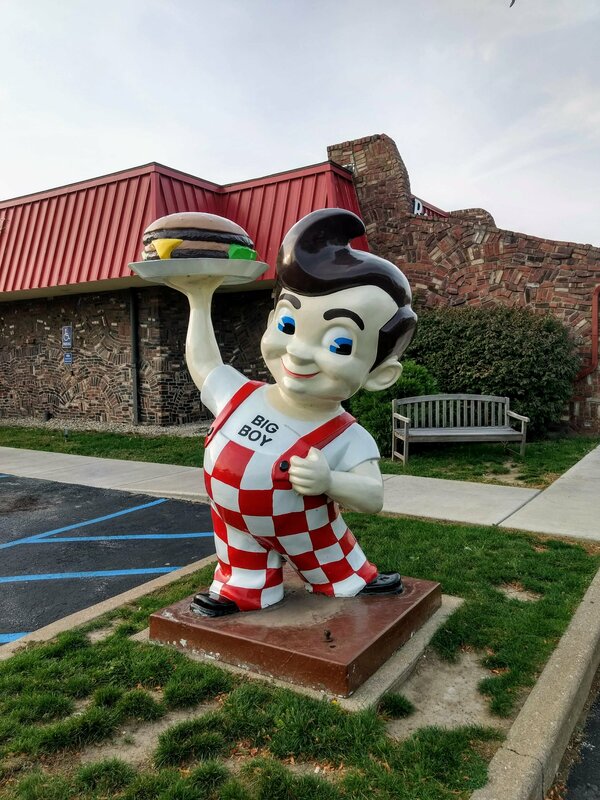 During our time there, we visited the Marblehead Lighthouse in nearby Marblehead, picked up a few snacks like delicious pineapple salsa at the kitchy Cheese Haven shop, and enjoyed dinner at the family-friendly, throw-back restaurant, Big Boy. 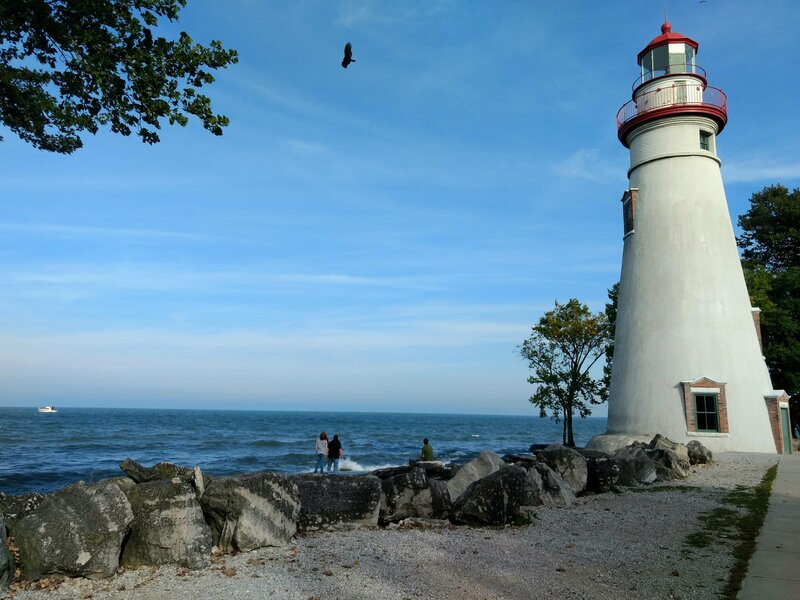 Next time you’re looking for a weekend getaway or family vacation, consider the Lake Erie Shores & Islands area of Ohio. From theme parks to beaches and everything in between, you won’t be disappointed in this Midwest gem. Keep in mind if you visit Sandusky, Put-in-Bay or Port Clinton during the off season, while most of the shops are open on Fridays and Saturdays, they may be closed on Sundays or weekdays. The Anchor Inn also offers several delightful add-on packages, such as a romance package, breakfast in bed, late checkout, and even bedtime milk and cookies! 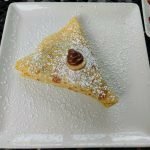 If you’re visiting Put-in-Bay in the summer, you might also enjoy boating, fishing, and other local eateries and attractions, like their Chocolate Museum. While visiting Port Clinton, be sure to check out the African Safari Wildlife Park, where you can experience these incredible animals on a drive-through or walking tour.